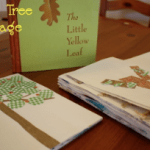 This unique apple tree craft for kids uses a pinecone, some yarn, and pompoms! 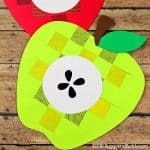 It’s an easy craft for fall and also provides lots of fine motor practice for little hands. 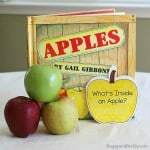 Perfect for preschool, kindergarten, or first grade! 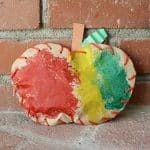 Follow our Fall Crafts for Kids Pinterest board! 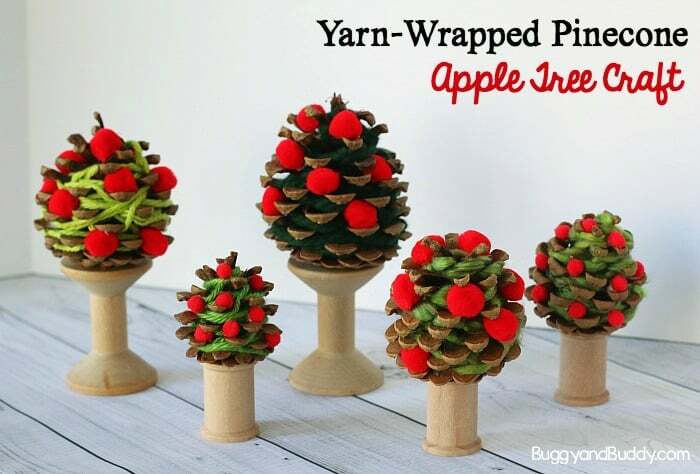 I absolutely love the simplicity of this adorable apple tree craft using a pinecone as the base for the tree! You’ll only need a few materials, and it can be done it a short amount of time. 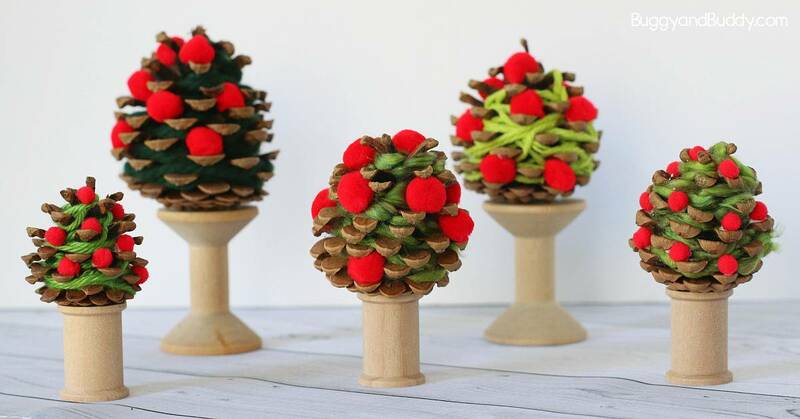 You can buy your pinecones at a local craft store or online. It would also be fun to take a walk and collect your own! 1. 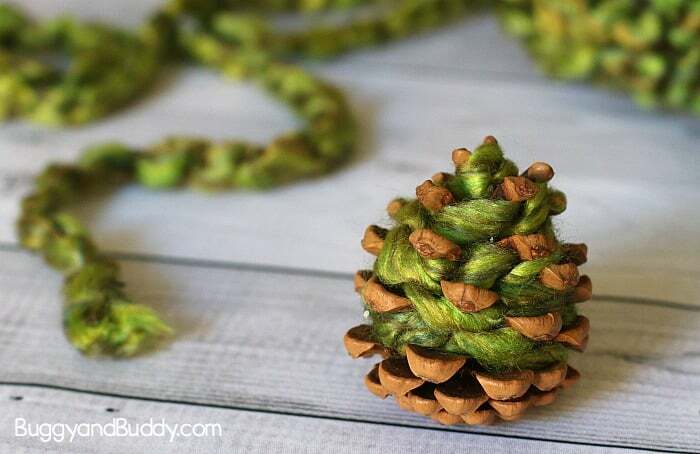 Wrap green yarn around your pinecone numerous times. If you are using a smaller pinecone, regular worsted weight yarn (like this) works well. For larger pinecones (or smaller hands), use a chunky yarn like this one. 2. Cut off the end of the yarn and tuck it in. You can also place a dab of glue where your yarn ends if you’re worried about it coming undone. 3. 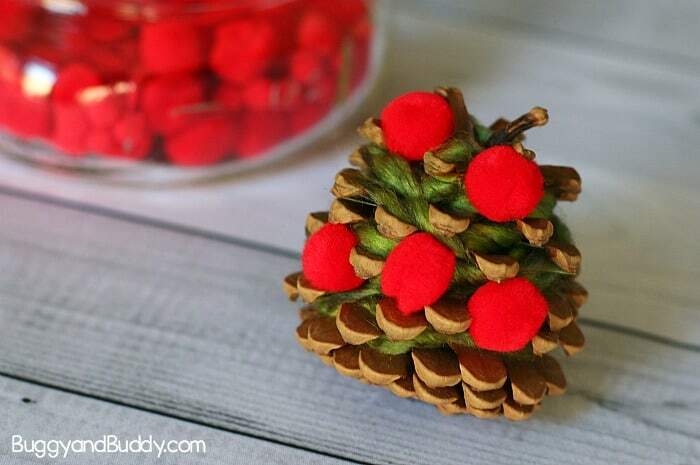 Glue red pompoms onto your pinecone tree to represent apples. 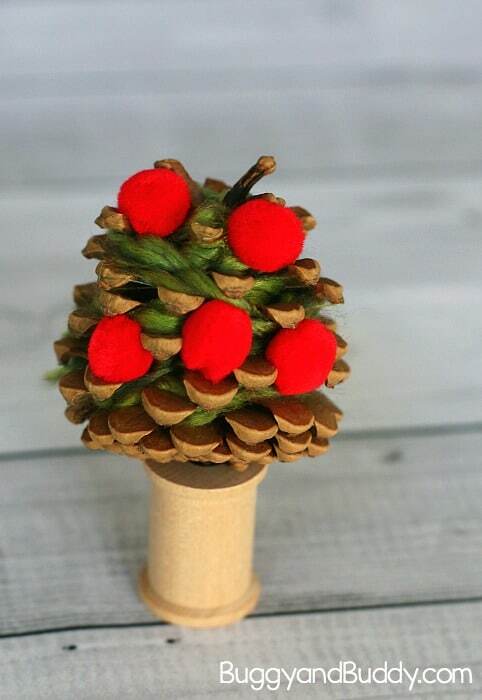 Again, the size of your pinecone will determine the size of pompoms to use. 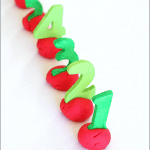 You can also place an assortment of sizes out and allow your children to select their favorites. 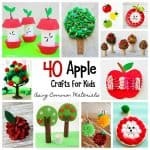 The finished apple trees make great decorations for fall! 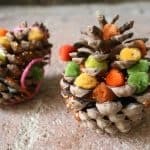 Be sure to also check out this unique method for making fall pinecone trees! 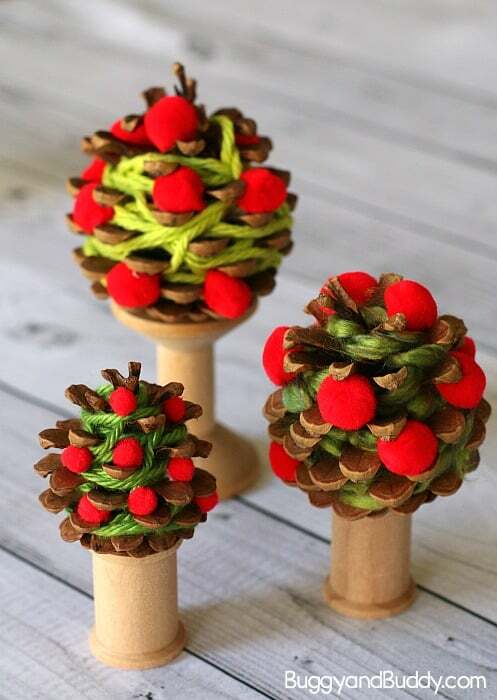 Place a wide selection of pinecones, different colors of yarn, and various sized pompoms out for your children or students. Allow them to come up with their own combination of supplies to use! Younger children might need help cutting the yarn. 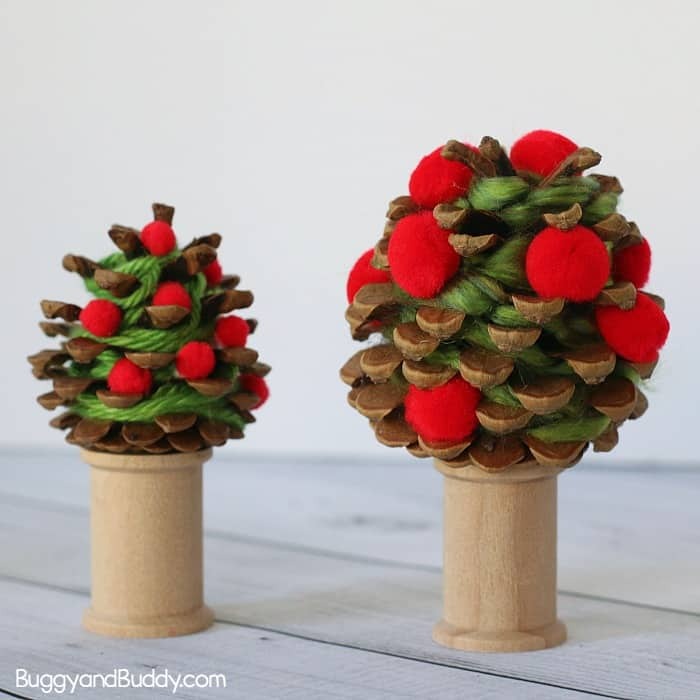 If adding a spool trunk to your tree, you can use liquid glue (like Tacky Glue), although a glue gun works more quickly. 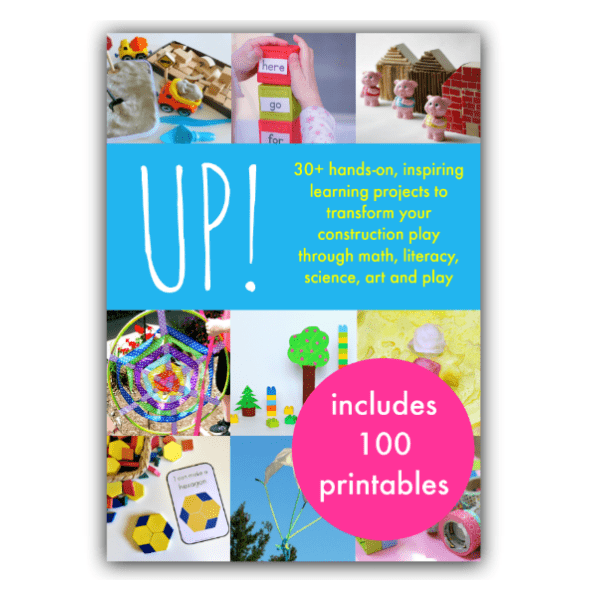 Check out even more cool ways to build and create with kids in our ebook, Up! They look so adorable! 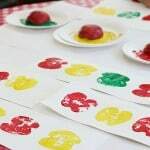 And they’re so easy to make, kids will love these! These are super cute! Also makes a great 1 to 1 correspondence activity (i.e. counting apples they put in tree).